“We are dedicated to safe lift operations and have decided to close Lift 1 to immediately perform the necessary repairs,” Loveland said in a statement this evening. 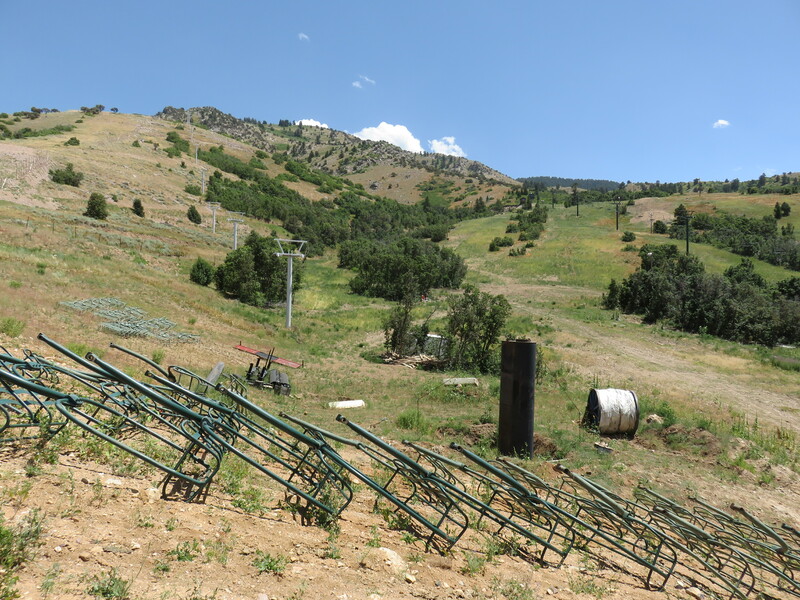 While Loveland’s social media posts do not specify what is wrong, they say repairs to Chair 1 should take about two days with Lift 6 taking longer. 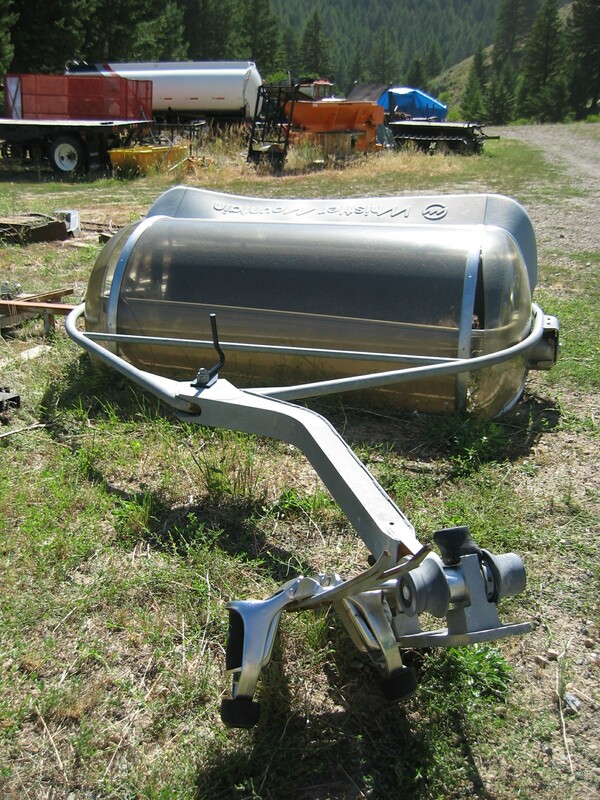 Both chairs are bottom drive/bottom tension, so the list of things that could go wrong up top is limited. In the meantime, the mountain is offering $51 discounted tickets. 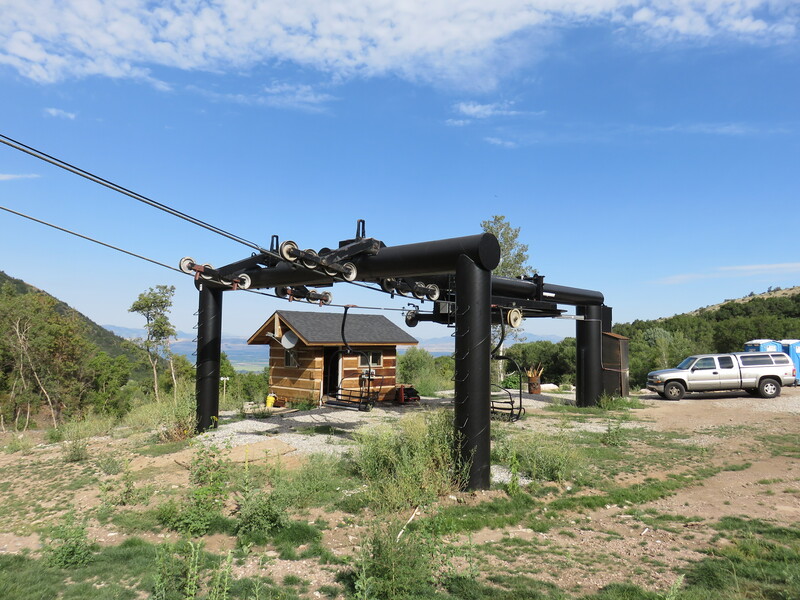 Cherry Peak’s brand new lodge and Gateway chairlift with three months to go until opening. Utah may have lost a resort last month but now it has another. I recently got the chance to tour what will be America’s first new ski resort since Tamarack Resort opened in 2004. Cherry Peak Resort is under construction just outside of Richmond, Utah. It is named after the 9,765 foot peak nearby but the ski area will not even reach 8,000 feet. The resort was scheduled to open last season but never got enough snow and construction fell behind. 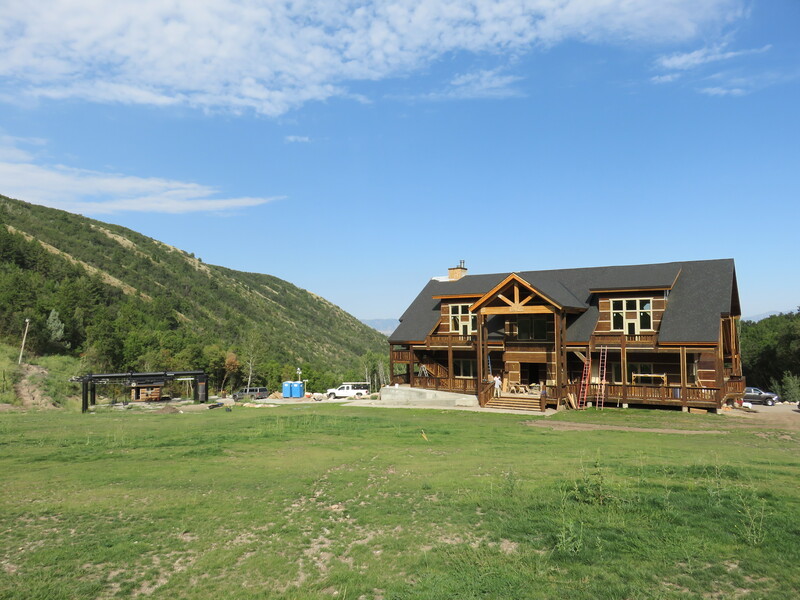 Cherry Peak Resort is owned by local developer John Chadwick and located entirely on his private land. He has been quietly working to build the ski area for the past five years while buying used lifts and equipment. To call Cherry Peak a resort is a stretch but this will be a nice community ski area with 1,265 vertical feet of skiing and three lifts. Cherry Peak’s trail map. Note the lift to the top does not exist yet. Gateway chairlift which came from Blackcomb, BC. Looking down the Gateway chair which still needs some paint. Chadwick is currently running the ski lift version of a chop shop with used Yan lifts from across the west being cobbled together into three new triple chairs. Two lifts, dubbed Gateway and Vista are completed and load tested. 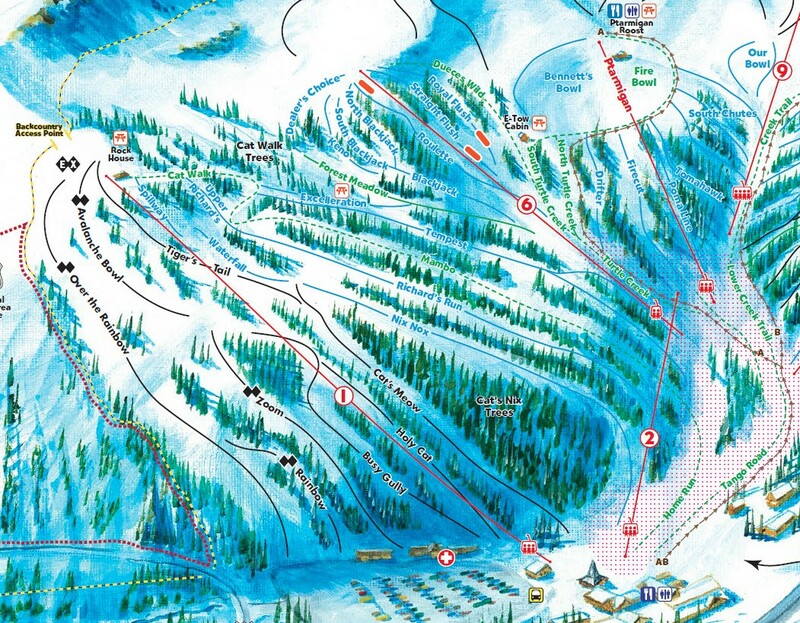 Gateway was Blackcomb’s former Crystal Chair while Vista came from Sunnyside at Sun Valley. 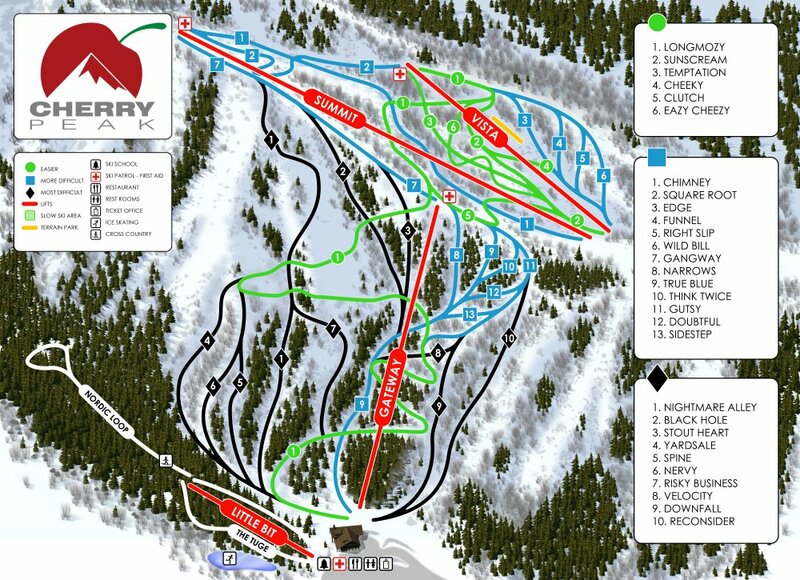 Cherry Peak also bought multiple used lifts from Squaw Valley in 2012. Each one of Canada’s 10 provinces has at least 3 lifts used for skiing. Only the Nunavut and Northwest Territories do not have a lift. Quebec has the most lifts by far with 226 followed by British Columbia (165), Ontario (162), and Alberta (87). The average age of lifts varies significantly by region. Maryland’s 7 lifts average 17 years old while Ohio’s 33 lifts are more than twice as old at 34.4 years. 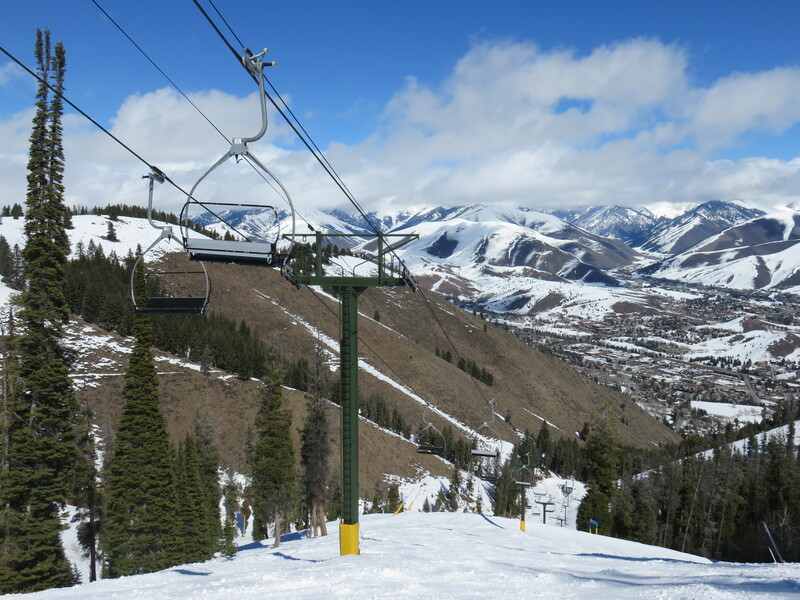 Utah and Montana stand out as having new lifts averaging 19.4 and 19.9 years old, respectively. Places with really old lifts tend to be in the East and Midwest. Wisconsin, Minnesota, Michigan, Ohio and New York all have lifts that average more than 30 years old. It’s also interesting to look at which brand has the most operating lifts in each state/province. 25 states/provinces are dominated by brands which disappeared decades ago – Yan, Riblet, Borvig and Hall. Borvig dominates in 5 eastern states – IL, VA, IA, ME, and PA. Hall lifts are pervasive in many eastern states – ND, CT, MA, NY, WI, MN, OH, and SC. Riblet still dominates all of the northwest and some of the midwest – MO, OR, WA, SD, AK, NM, IN, MI, and KY. Yan takes its home state of Nevada and neighboring California and Arizona. Doppelmayr is the most common lift brand in surprisingly few states – MD, GA, MT, NJ, NH, ID, and NC. The story is different in Canada where Doppelmayr is the top brand in most of the country – BC, MB, SK, AB, QC, and NB. 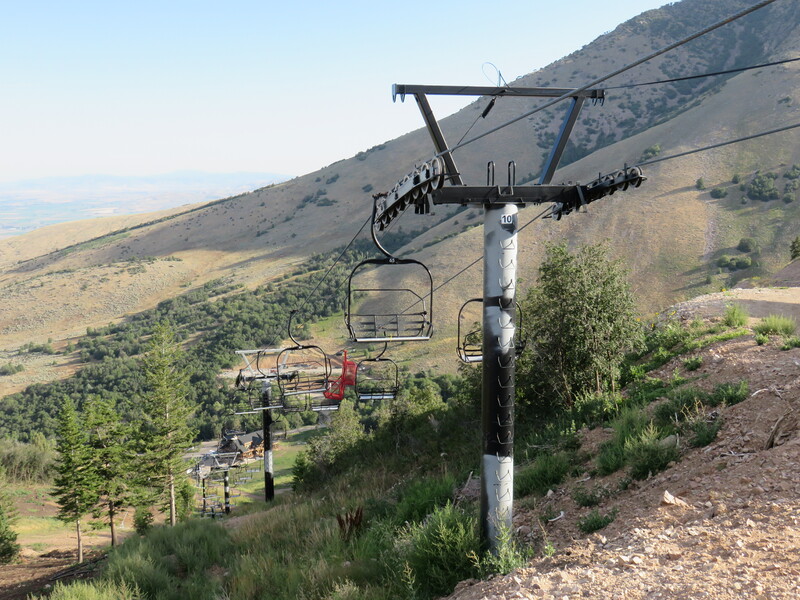 Despite being gone for a decade, CTEC and GaraventaCTEC are still the most popular in Utah, Wyoming and West Virginia (thanks solely to Snowshoe Resort.) Finally Poma and Leitner-Poma take their home state of CO plus VT and ON, NL, PEI and NS in Canada.